A few years ago we went on a Doctor Who locations walking tour around Cardiff, and it was so much fun we wanted to do it again. With the Doctor Who Experience attraction now permanently housed in Cardiff it seemed like the perfect excuse for a road trip. Also, hotels are a lot cheaper at this time of year. We ended up at Cardiff Bay’s Future Inn. How appropriate to go on a Doctor Who pilgrimage and stay in The Future. And when it’s time to retire to the hotel for the evening, you can legitimately say you’re going Back to the Future. Which we did a lot. Apologies to the Future Inn if we wrecked your fine Queen-sized beds by jumping on them. Take it as a compliment. We really did enjoy staying here. Very clean, nice spacious room, friendly staff and a decent breakfast for around £90 a night was a total bargain. Best of all, it’s only about 15 minutes’ walk from the Doctor Who Experience. 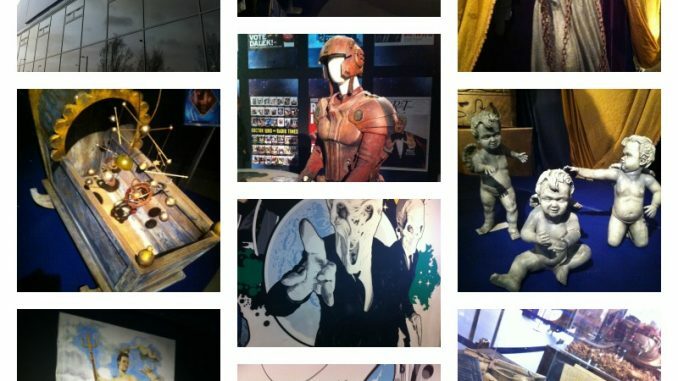 We’ve been to the Doctor Who Experience when it was in London, plus we recently attended the 50th anniversary celebration at Excel, so did this Cardiff Bay Whoniverse have anything new to offer? 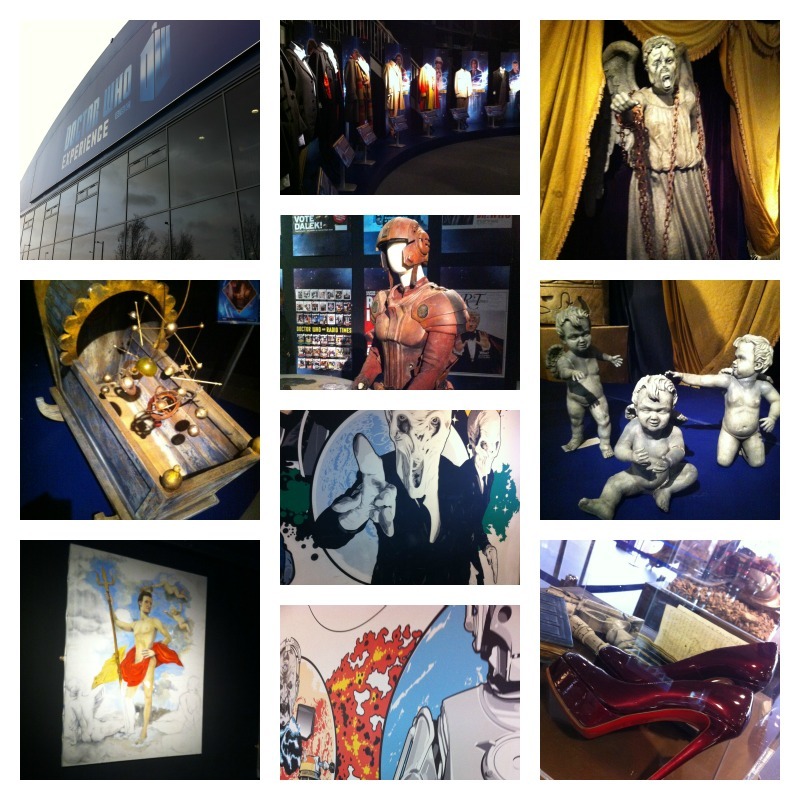 Quite a lot, actually..
It’s not a massive exhibition but there is enough to see and do to fill a couple of hours. We paid £38 for a family ticket and thought it was worth it (but then we would, wouldn’t we?). 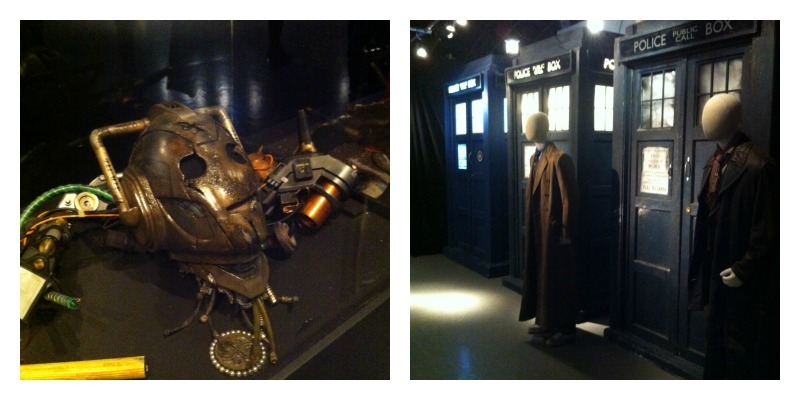 This exhibition benefits from being literally just across the road from the studio where Doctor Who is filmed, so they get first dibs on props from the most recent episodes. Look, there’s Handles from the Christmas episode. And what is the name for a group of Tardises? Tardii? Also, being in Cardiff Bay, you can visit lots of locations from both Doctor Who and Torchwood. Yes, it was blowing a gale but that’s always a risk when you’re holidaying on a rift in time and space. Whilst in the bay, we went to Eddie’s Diner, as seen in The Impossible Astronaut. 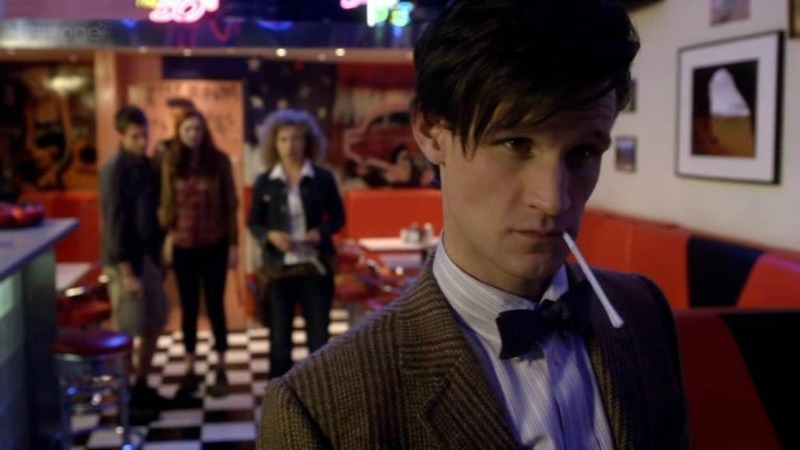 See that table in the corner, next to River Song? That’s where we had some chips. We didn’t see Peter Capaldi as he was off buying some Dr Martens in Cardiff city centre. Apparently if you follow #dwsr (Doctor Who Set Report) on Twitter you can keep up with current filming locations if you want to follow them round Wales. Not that we would do that of course.